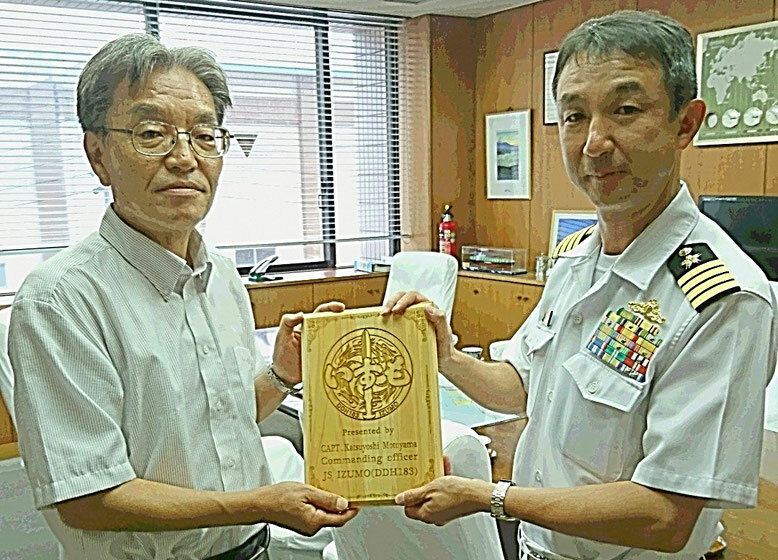 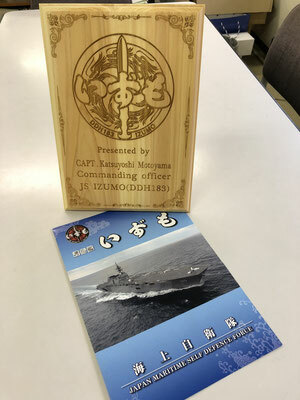 JS IZUMO, JMSDF, is now docking at the Port of Shimizu. 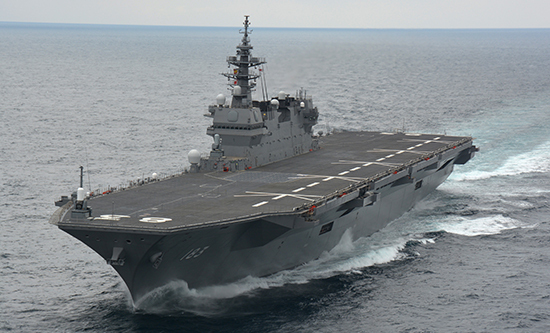 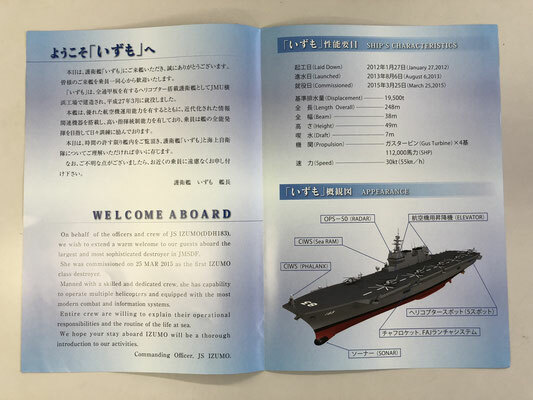 Come see JS IZUMO at the Port of Shimizu! JS IZUMO is at the port from August 3 to August 5, 2018, during the local summer festival called "Shimizu Minato Matsuri".